With a focus on quality race support, Dustin Courter of Team 20 LLC aims to build the Praga and Formula K brands in Colorado. 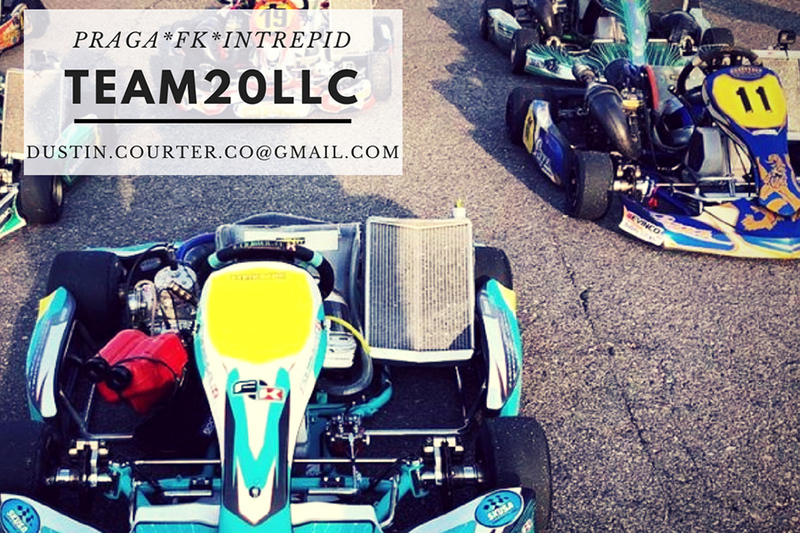 Based in Parker, Colorado, Team 20 LLC has taken on the IPK dealership to distribute the Praga and Formula-K (FK) kart brands in the rocky mountain region. Formula K and Praga chassis, parts, and service will now be available through Team 20. Racers can expect to see a strong presence with race support in 2019. The Praga and FK brands are already beginning to thrive in Colorado as people have begun to transition into the cost-effective yet highly competitive chassis, with parts and support readily available. A great resource for those interested is IPKarting.com, a website filled with information, including a chassis tuning guide for IPK products. Currently, Praga offers the Dark-Evo, which is tailored to the LO206 and KA100. In addition, both FK and Praga have a full range of chassis options for racers, from the kid kart category to adult categories. For more information on the IPK product lines of Praga, Formula K, and associated services, reach out to Team 20 by contacting Dustin Courter at: 303-570-6420.